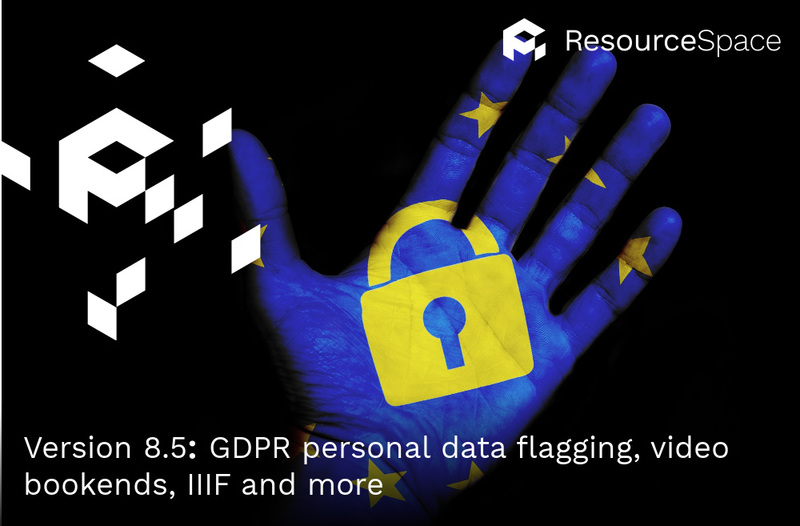 At Montala we've been working to ensure ResourceSpace can help you meet your GDPR obligations. In addition to the numerous existing security features, for the 8.5 release we have added functionality that enables easy flagging of metadata fields that could potentially contain personal data, and tools to report and extract on this data (for example, following a Subject Access Request). Also new for 8.5 is a plugin that enables quick and easy video "bookend" capability - adding an opening and closing image to a video. This is perfect for webcasts and similar content that you need to quickly add branding to. We're building in interoperability with the IIIF standard, which allows remote image viewer systems to access your ResourceSpace system and retrieve images for display. For 8.5 we've built compatibility to level 1.0 of the standard and will be extending this in future releases. You can read about the other features and also watch a webcast produced by our Customer Success team by visiting our version history page.